CP Shutters Essex's Largest Plantation Shutter Company. At CP Shutters we specialise in the design, building & installation of premium quality Interior Wooden Shutters. Though we use only the finest quality materials, our prices are some of the most competitive around, click above to find out more. Our ranges have been developed to include options that can suit any home or business. 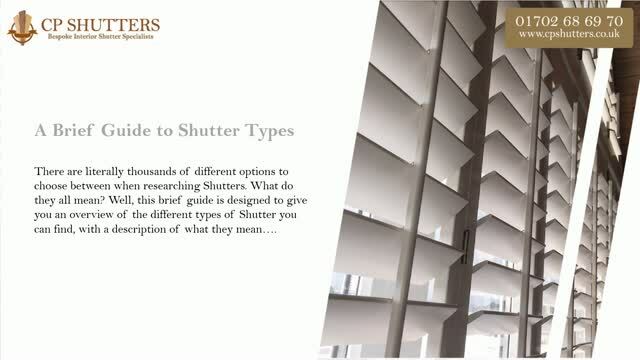 Whether your decor is ultra modern, or has an elegant traditional feel, we can design and guide you to a shutter that compliments seamlessly into your space. Though we are one of the largest independent Bespoke Interior Wooden Shutter companies in the UK, we are still family run. Our down to earth, friendly and honest approach has gained us an unrivaled reputation, and hundreds of happy customers over the years. CP Shutters is your local Family run Interior Wood Shutters Specialists in Essex. We have designed and installed over 9000 Plantation Shutters since 2007, please read our fantastic reviews and why not get in touch today? At CP Shutters we have been designing and installing Custom Plantation shutters since 2007 and have installed over 9000 wooden shutters all over Essex. For interior plantation shutters in Havering Essex, please look no further than CP Shutters. We are very proud of our excellent reputation and are able to offer recommendations from customers in your area! We appreciate that Essex is a very large county and our Shop in Southend has the team to serve and build shutters in Brentwood and shutters in Chelmsford. We have a wealth of knowledge and experience and can supply you wooden shutters with a range of six materials and several colour and louvre size options. At CP Shutters we are committed to offering excellent customer service and offer the UK's market leading interior shutter products at very competitive prices. Everyone who is employed by CP Shutters is fully trained and can guide you from the ordering process all the way to the installation of your shutters. Our shop staff are always on hand to help, please call us now on 01702 68 69 70 and become another very happy customer! Please read our customer reviews from Trading Standards and Check-a-Trade. Our extensive range of Shutters are more than just a window covering. They are a lifestyle feature, designed to function around your needs and we offer maximum flexibility to our customers by offering three main styles; Full Height, Café Style and Tier on Tier. All shutter styles are available in many colours, louvre sizes and hardware options and come in six different material and cost options. Interior shutters have a unique style that will integrate into either a contemporary or traditional interior. We supply interior shutters all over Essex and find they are elegant and stylish from both inside and out, and at the same time enhance security, reduce noise, increase insulation and redirect harmful UV rays whilst adding value to your home. We offer the market leading Interior Shutter products in the London borough of Havering and all areas of Essex at affordable prices and can boast a 100% customer satisfaction record. We encourage all of our customers to write reviews on independent websites and many are prepared to have new CP Shutter customers contact them for references. We have many years experience and have served many customers in Essex and the London borough of Havering. Please view one of the websites where customers have posted reviews on Trading Standards, and Check-a-Trade. Remember, CP Shutters are number one for Shutters in Essex and Havering, call us today! For over a decade CP Shutters have been synonymous for premium quality Shutters in the London borough of Havering and all areas of Essex. If you wish to see more of our Shutters first hand, either visit our Shop in Westcliff-on-Sea or alternatively give us a call on 01702 68 69 70 where one of our friendly team will be happy to help. We look forward to hearing from you soon! For quality interior wooden shutters in Essex and Havering, please call us on the telephone numbers provided or fill out our survey request form. We look forward to working with you very soon.